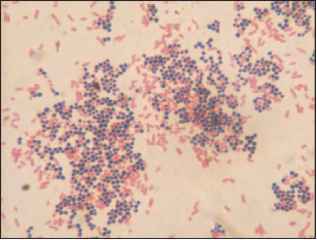 Salmonellas are motile Gram-negative enterobacteria. It is generally recognized that there are only two species of Salmonella, S. enterica and S. bongori, the latter species rarely isolated from humans. The Salmonella are subdivided into more than 2,400 serotypes based on differences in their somatic (O), flagellar (H), and capsular (K) antigens. They are referred to as serotypes because the Salmonella strains are identified by using sera containing antibody against known strains. Formerly, many of these serotypes were assigned species names; for example, Salmonella dublin and Salmonella heidelberg. (In this discussion we will not italicize the serotype name, to distinguish it from a species name, as in Salmonella Dublin.) Salmonella Typhimurium and Salmonella Enteritidis are the serotypes most commonly isolated in the United States. Typhoid fever, an example of enteric fever, is caused by Salmonella Typhi.